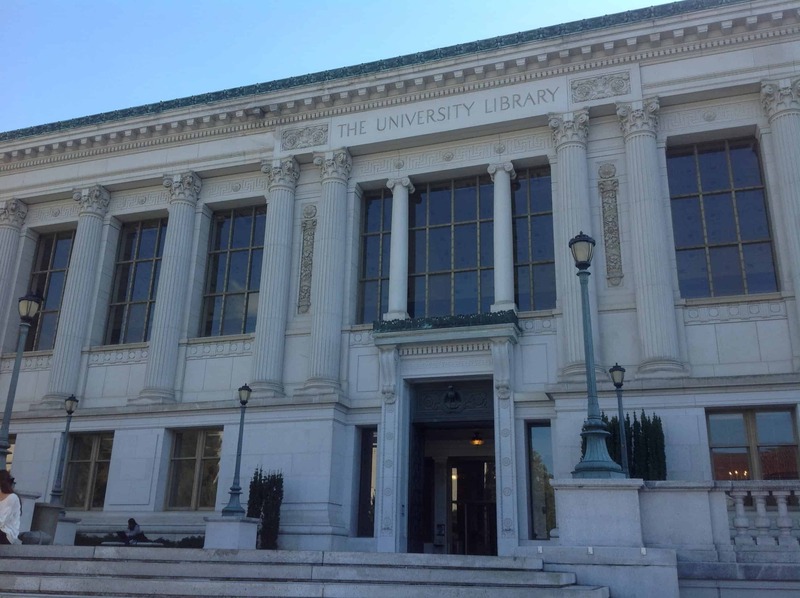 UC Berkeley’s library has 10 million volumes, fourth largest college library in the country. In addition to being the first college in the University of California system, UC Berkeley is an activist campus. Be prepared to get involved in political issues if you come here – the free speech area, protest sites and the reason that campus buildings only have one handle on the outside of each set of doors are all discussed by student tour guides (believe it or not, the reason is political). It is obviously an excellent school with very driven students; the science and engineering programs are stellar. The downside of this large campus (25,000+ undergraduates and more than 10,000 grad students) is that “you have to fight to get guidance; you have to fight to get classes,” according to one of my tour guides, a rising junior. The campus’s largest lecture hall holds 760 students. A second tour guide referred to a course he took with 800 students, where the discussion section was OPTIONAL. Freshman and sophomore seminars give students an opportunity to work more closely with professors, and students can apply to teach their own classes with a professor’s supervision. Between 25-30% of each graduating class is comprised of students who transferred into UC Berkeley. I love the T-Rex skeleton they display in the stairwell of the Life Sciences / Department of Integrative Biology Building. It’s the most complete T-Rex skeleton in existence, with only 3 tail bones missing. The Valley Life Sciences building was the largest academic building in the nation when it was built, covering three acres (but then Harvard built a bigger one). 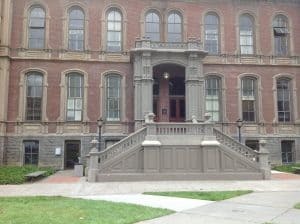 Berkeley offers degrees in 350 programs through 14 different colleges, ranging from Business, Education, Engineering, Chemistry, Public Health, Public Policy, and others. The university’s newly opened East Asian library houses the world’s largest collection of historical Japanese maps. Built in 1873, South Hall is the oldest building on campus. Click here to see the academic colleges and here to see an alphabetical list of majors. For additional admission and diversity information about UC Berkeley and other UC campuses, please download Magellan College Counseling’s UC Quick Facts on our Resources page. Admission stats: Mid-50% SAT scores: CR 590-720, M 630-770, Wr 620-750. Average unweighted GPA for admitted students is 3.86. Magellan counselors have visited UC Berkeley several times. You can see all of our photos here!